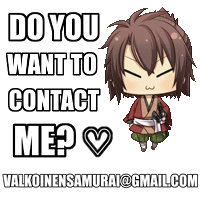 Hello and greetings to you! I've been working on and off the past weeks on a sort of undershirt for Masamune because even though it's not really obviously visible if he has something under that torso armor plate or not.. I can't imagine it being terribly comfortable if there wasn't anything under it hahah. I have not written about this earlier even though I did not make it all in one day.. I decided to write everything in a single post when it's done, which it now is. 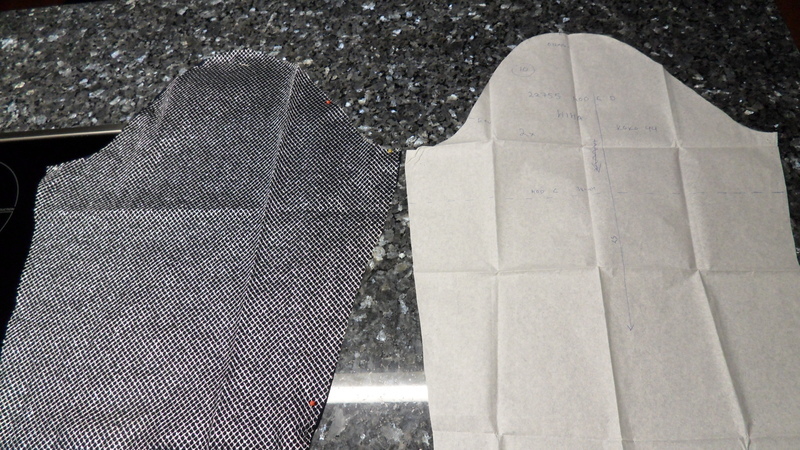 So I warn you now, a lot of ramblings and progress photos ahead. If anyone wonders why I take so much progress photos of the steps when I work on my Masamune cosplay it's because it's a big "project work" I have to do (yes, I chose to do a costume) and therefore I need to show how I work and document all progress so my supervisor can follow what I do and blah blah. 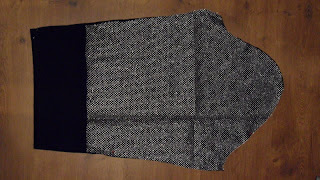 The first progress on this undershirt I made on the 6th January. 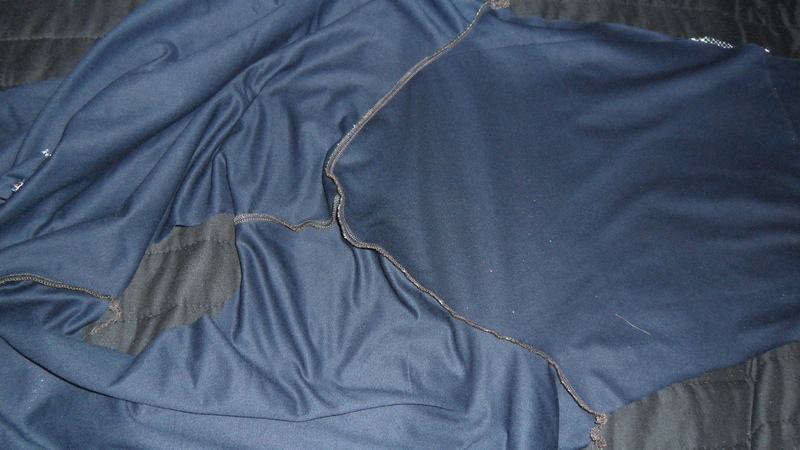 I decided to use very dark blue tricot fabric because it was what was easily available and I figured that because Masamune's undershirt isn't shown it wouldn't really matter what color it was (and besides it would hardly be seen anyway) ... but I wanted either black, dark gray or dark blue. 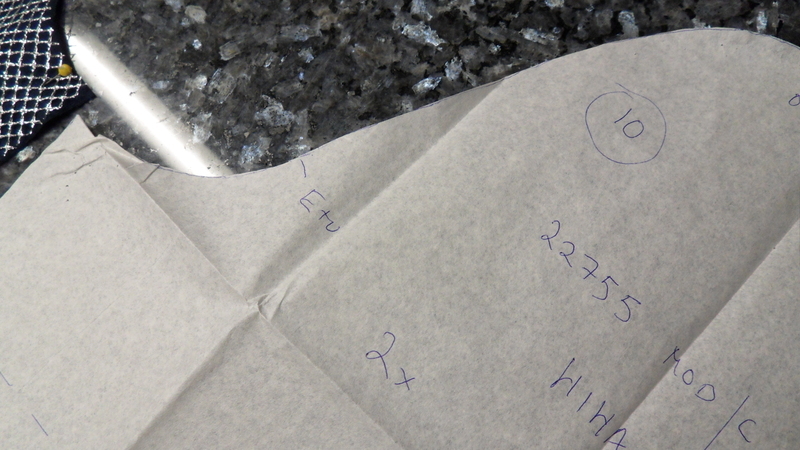 I found some close enough pattern (or not, it was some kind of top.. I don't know really) and decided to use it. 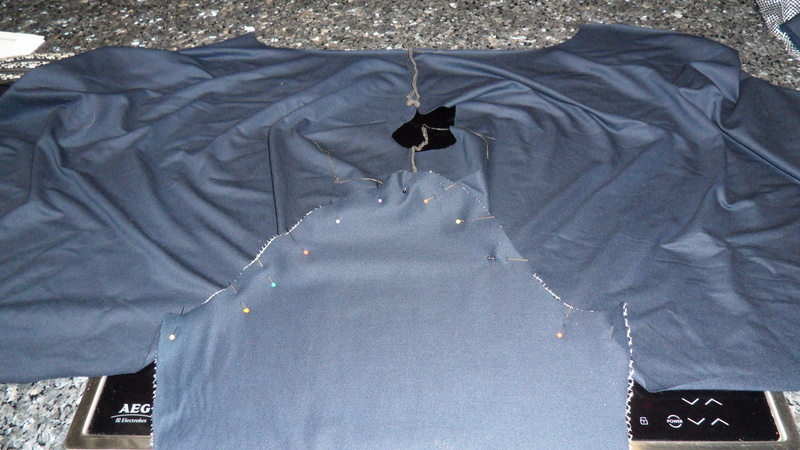 I fixed the fabric and pinned the pattern in place. 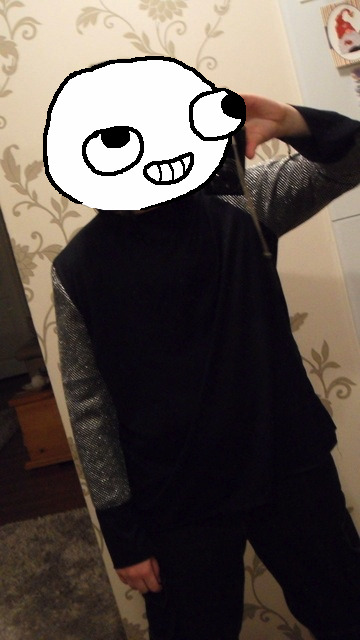 It was a bit short so I lengthened it a bit too. 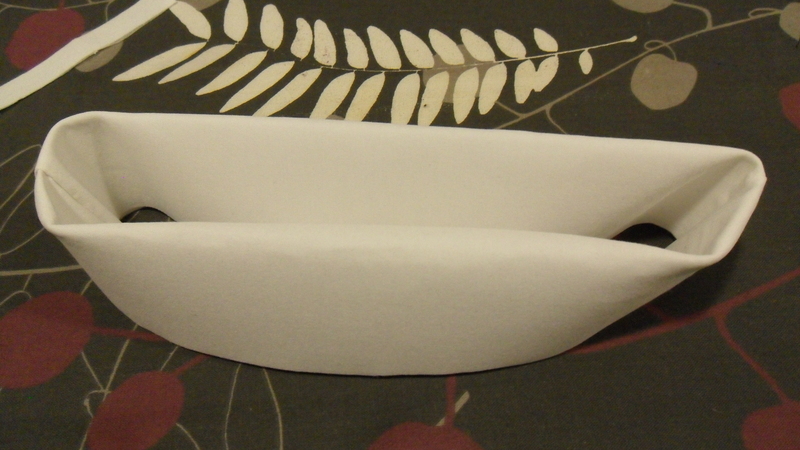 Also I cut the sides straight instead of curved. 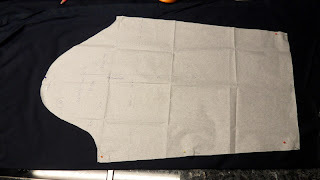 The pattern I used didn't originally have a sleeve pattern but mom told me she had used this pattern quite a lot and found that another pattern's sleeve pattern fit it. 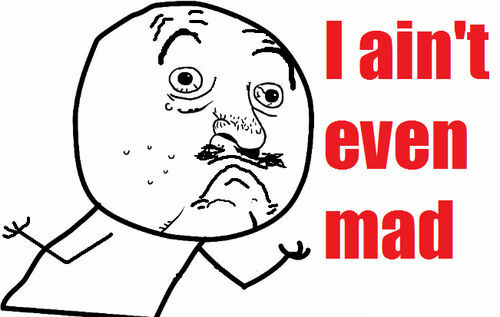 I went and searched for it and then I found it. I didn't need the "mouth" of the sleeves as wide so I skipped the seam allowances except at the shoulder attachment part. Because I've never sewn a long-armed shirt before I wasn't sure how the sleeve would fit.. yes, I found that upper shape weird. So to reassure myself I went and wrapped it around my arm after I had cut it out. 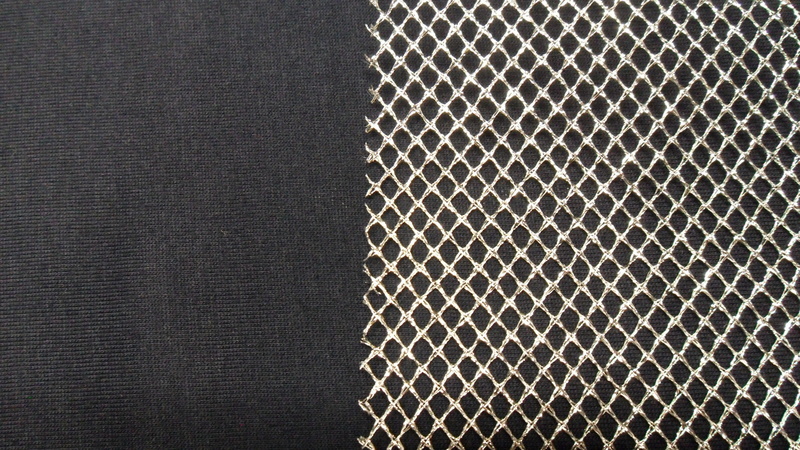 At the same time I also decided to mark with a pin how far down I wanted the chainmail net fabric to reach. 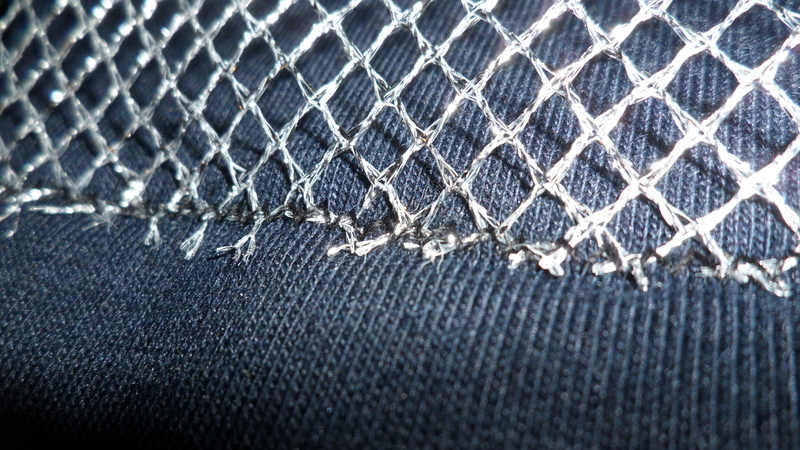 Next thing was to cut out the net fabric for the sleeves. 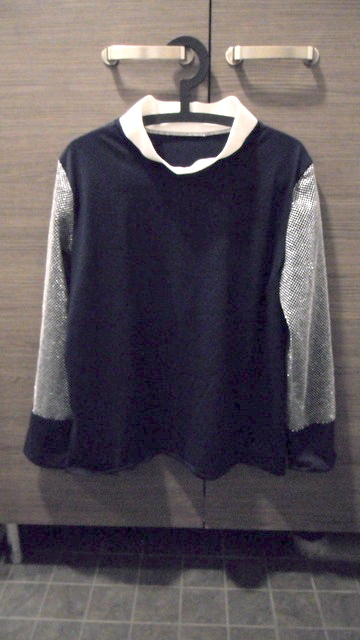 It would be on top of the sleeves, like a second skin. 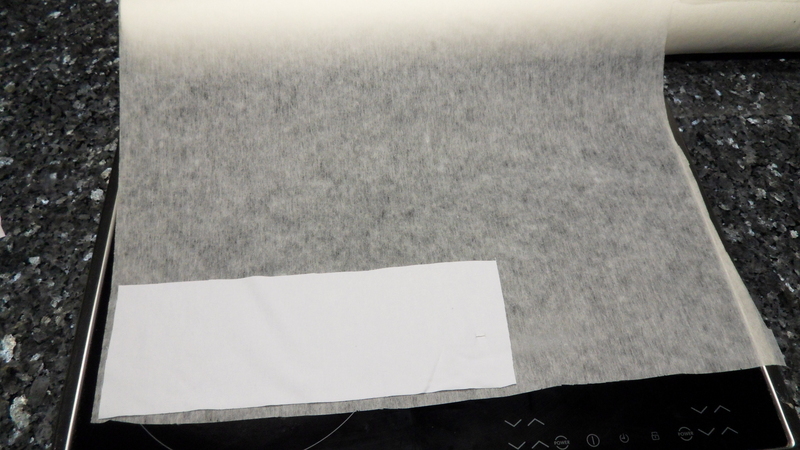 First I just put it on top of the fabric to see what it would look like when finished. It looked surprisingly good so I decided to go ahead and cut out fitting parts. I folded the net fabric and put the cut out sleeve on top, to act as a pattern. 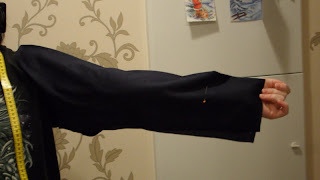 As you can see on the photo below the full sleeve is not on the net fabric, I only wanted the net fabric to reach to that pin placed horizontally... the uncovered parts of the sleeve would be hidden by Masamune's gauntlets anyway. Reference photo. As you can see the gauntlets reach pretty high, something elbow length..
After I had all the parts cut out for the sleeves I started sewing the undershirt's shoulders closed, right sides facing each other as usual. 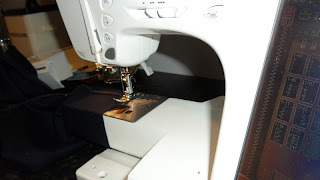 I used an overlock machine. That was all the progress I did on 6th January. Next progress was on 11th January. 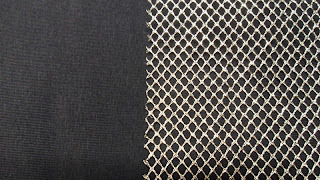 I started by zigzaging the net fabric in place at where it ends on the sleeve, some 5 or so centimeters before the sleeve's "mouth". 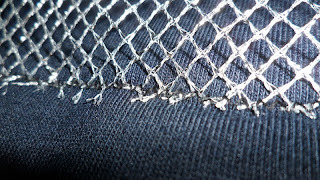 Net fabric zigzaged in place.. 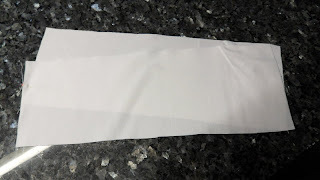 So I went and grabbed the sleeve pattern and put it beside until I could figure out which way it was supposed to be sewn on.. luckily the pattern was marked. 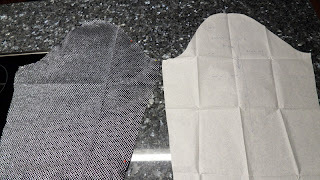 Looking at the left sides of pattern and sleeve you'll notice it curves slightly deeper.. 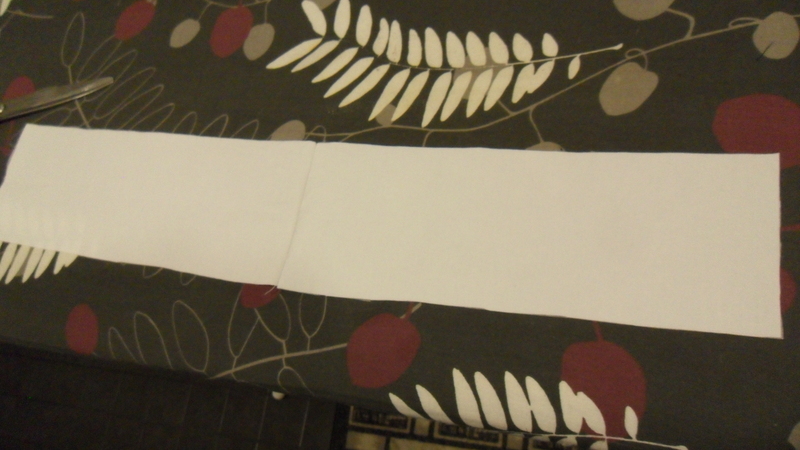 Okay, so that side which curves more will be sewn to the shirt's front. 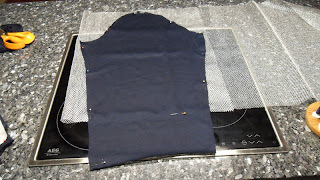 I went and got the body of the undershirt and pinned the sleeve in place. 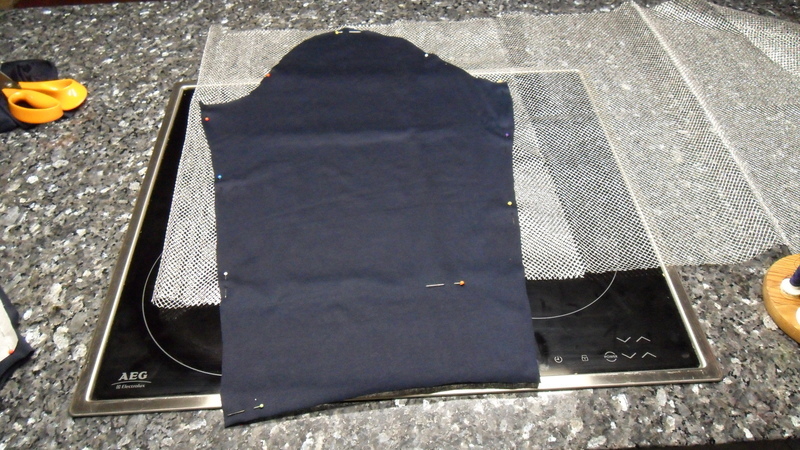 Next step was to sew the sleeve closed as well as the sides of the undershirt. 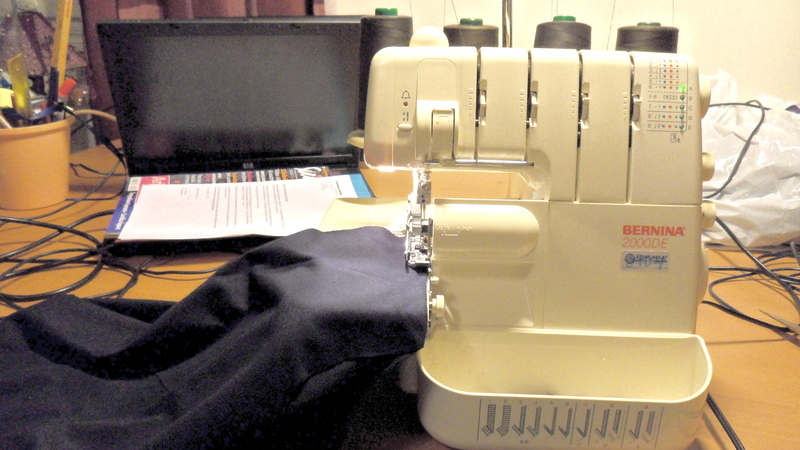 Still using an overlock machine. 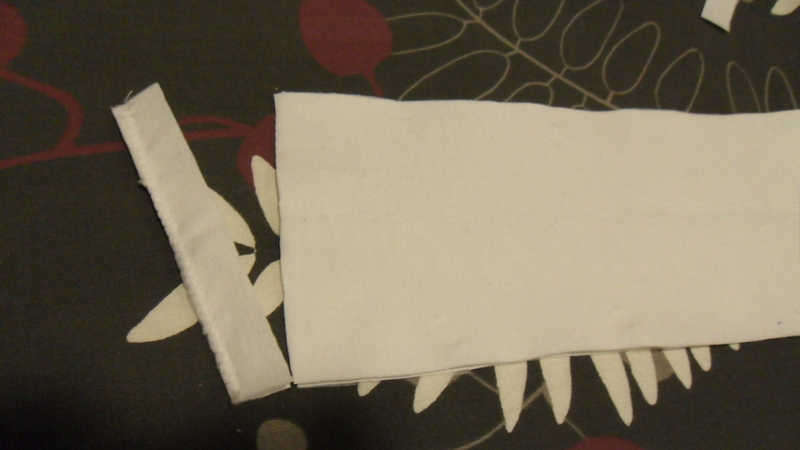 After both sleeves and both sides of the shirt were closed I could put it on and it would resemble clothing, yay. 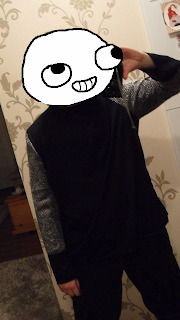 I put it on and it seemed okay so far.. but what was not okay was my face, hence the face censor. 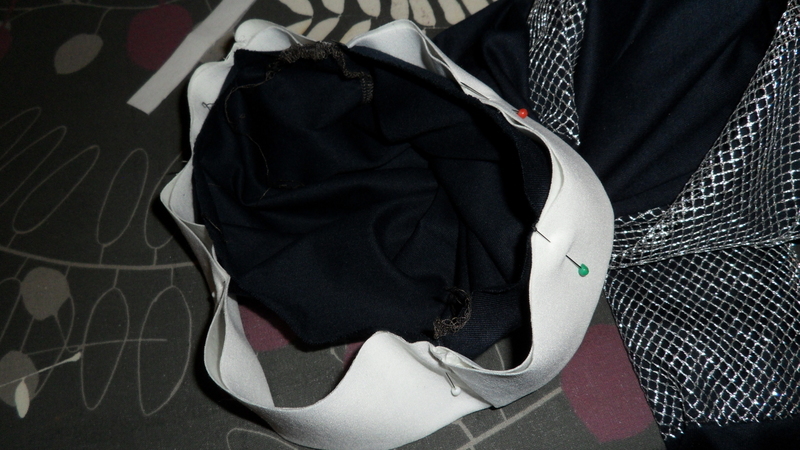 Excuse me very dark photo..
That was all the progress I did on 11th January. Next progress was on 14th January. 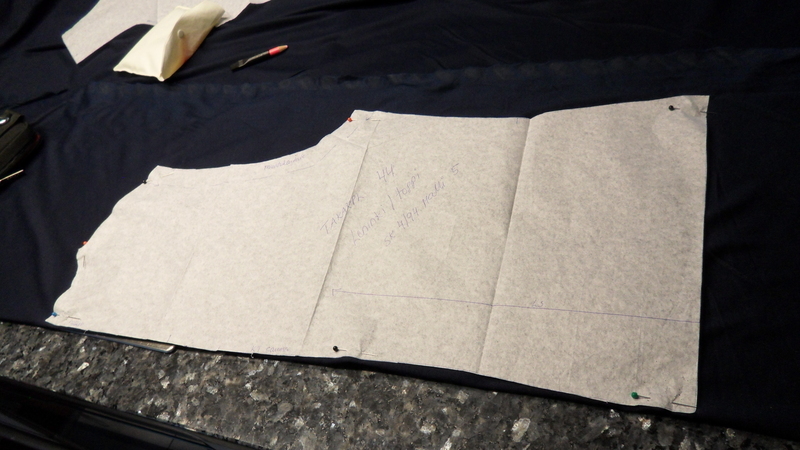 With the sleeves sewn on and the sides closed I had the hemming and collar left to fix. I decided to hem the shirt's bottom first... but it was uneven. 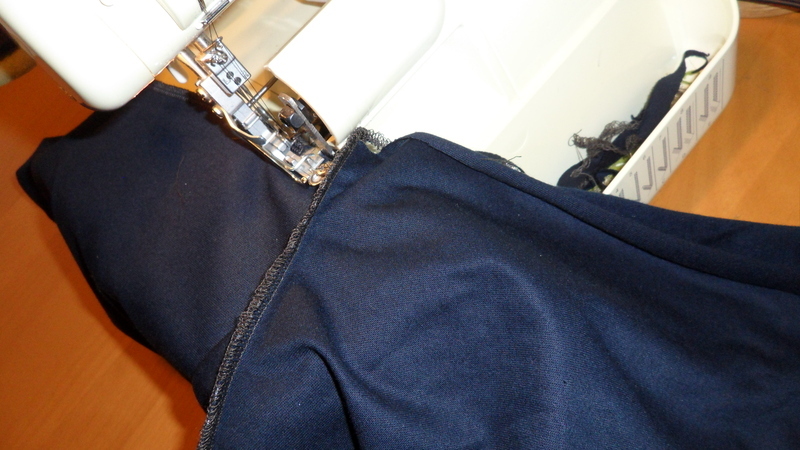 I used the overlock to cut it straight and sew the edges so they don't fray. Then I switched over to the "normal sewing machine" and hemmed the bottom with a straight stitch. 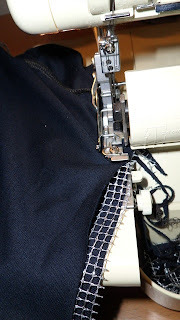 Next up was to hem the "mouth" of the sleeves. I had to take off a part of the sewing machine so I could fit the sleeve around that part on which the presser is. 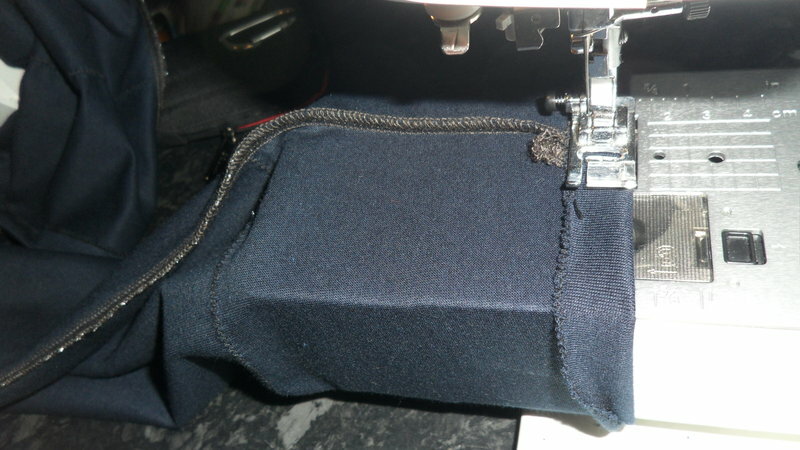 I didn't want to risk accidentally sewing the sleeve opening shut. Zigzaging the opening of the sleeve..
That was all the progress I did on 14th January. 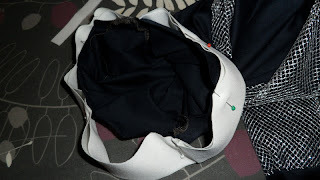 Next progress was on 22nd January. 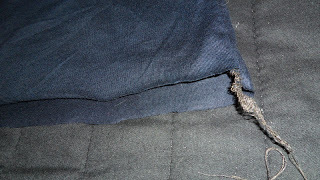 What was now left was the collar. I had pretty much no clue how to make a collar so what I did was pretty much impromptu. I started by taking a measuring tape and measuring around the collar on the undershirt to figure out how long the collar needed to be to fit. 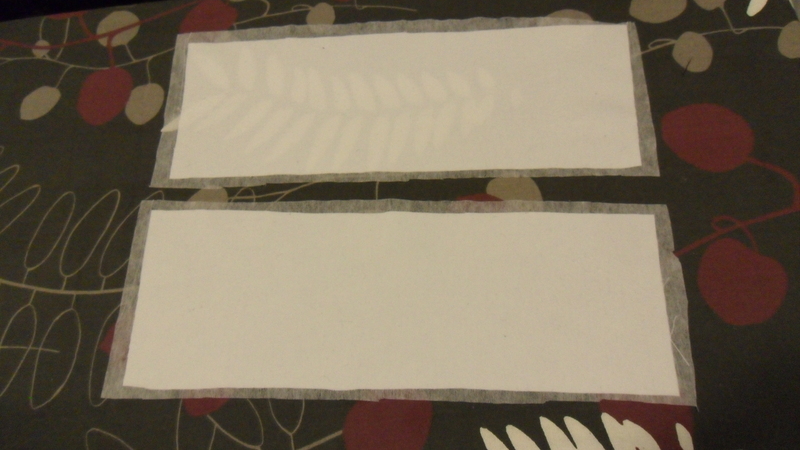 Then I went to get some white fabric that had some stretch in it but still wasn't overly.. floppy. 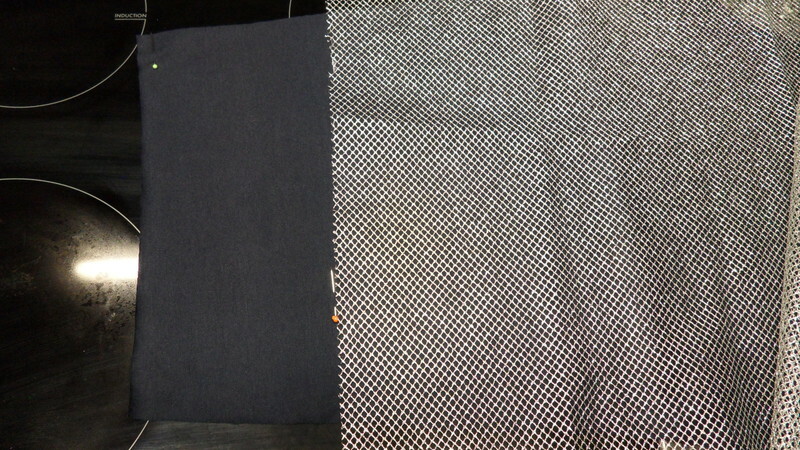 Found a fitting fabric at home. Because I couldn't find the fabric pen I had to use pins instead to mark the fabric where I would cut. I thought a 10 cm wide collar would be enough. 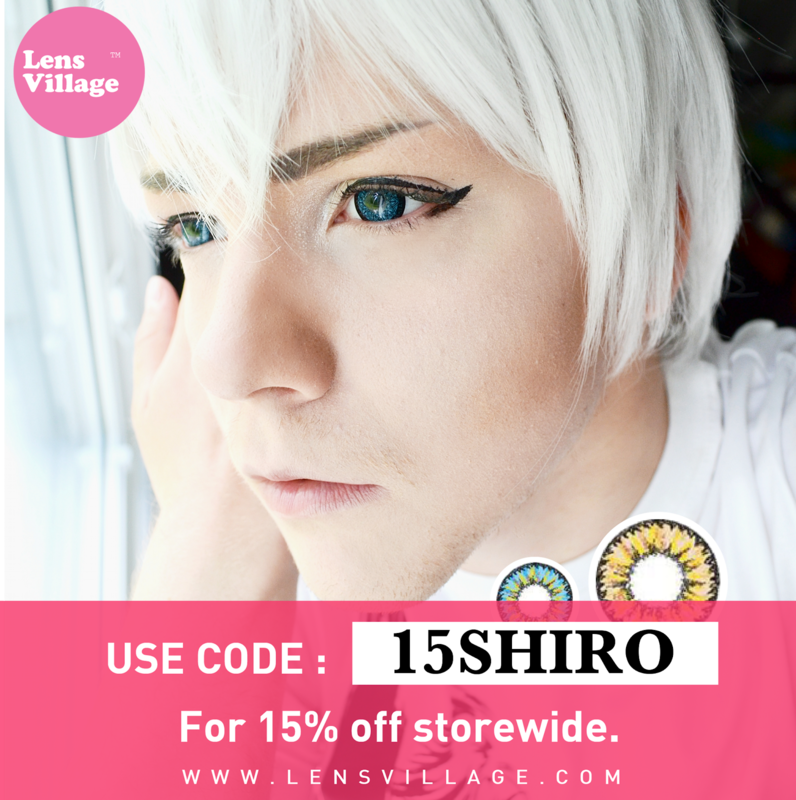 I added some extra length just in case. I ironed on the interfacing fabric to the wrong side of the collar pieces. I cut off the excess. 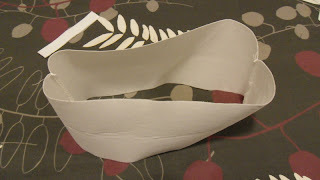 I then went to sew the collar pieces together at one end to form a single long piece. Buuuuuuuttttttt. 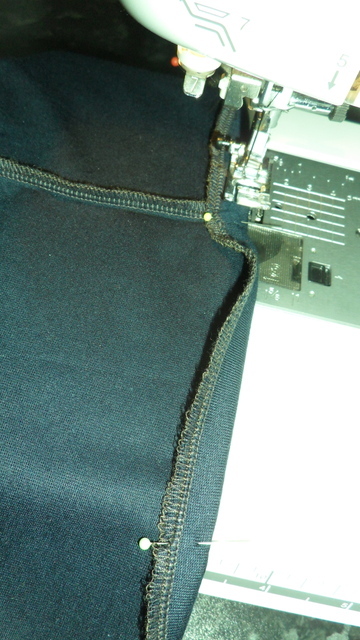 At this point I realized I had made a measurement mistake, d'oh! 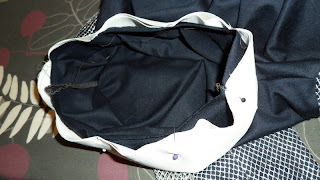 Of course I would have to fold the collar in half because there's the interfacing fabric on the wrong side... and because of this I should have cut the collar twice the width I wanted it to be when finished. 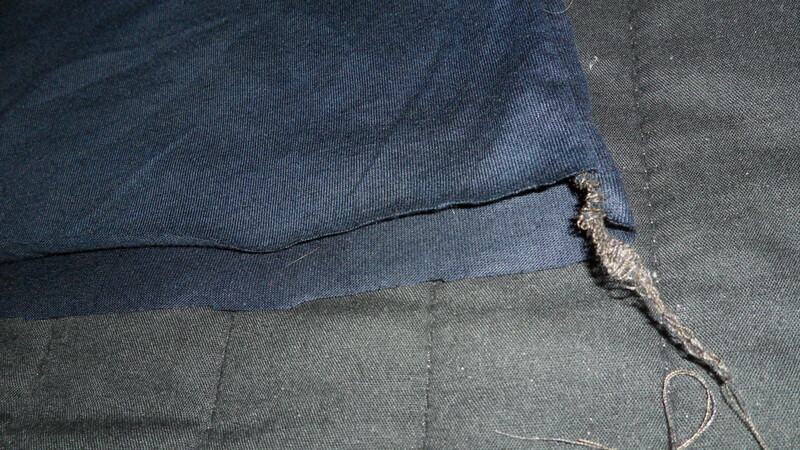 I had to cut off a few centimeters from one of the ends I had sewed together and resew it closed. After resewing it closed I test pinned it in place again. This time it fit much better, not perfectly but better. Also I noticed if I aligned one of the shoulder seams with the corresponding collar seam the seams at the other side would not match up. 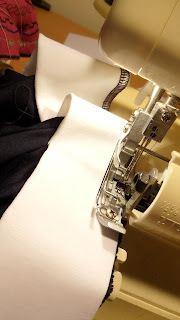 But I think I know why that is - because the undershirt's collar opening on the front and back are not of the same size while the collar has exactly the same length between each seam. I can't win haha. 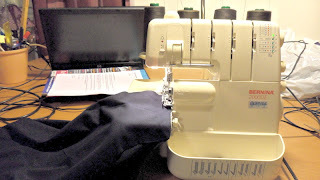 I just decided to go with it and went to the overlock machine to sew the collar on. 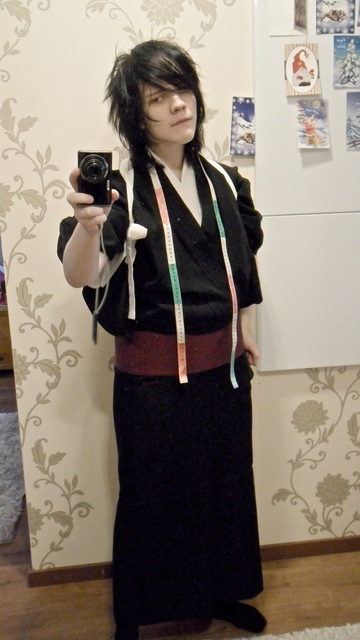 When I was done I noticed the collar is more.. err.. bigger, than when I put the shirt on without a collar. 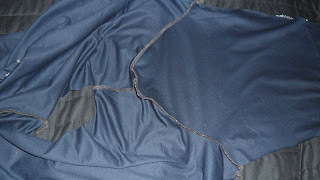 Probably because of the fabric stretching during the sewing. 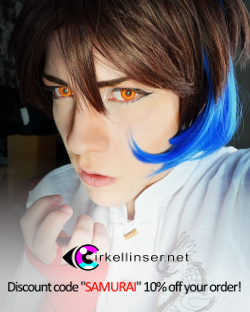 I don't mind so much even though the collar isn't super accurate for the character; when it is looser and isn't hugging my neck I don't have to worry about restricted neck movement or face derps. 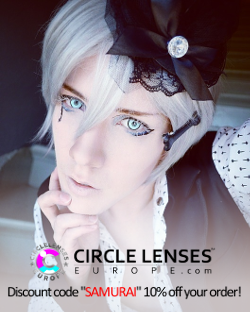 I know my face tends to look bad when I have a high collar.. so I guess this kind of went from an unwanted cosplay mistake to an unplanned adjustment for a more flattering fit for the wearer, hahaha. That's it. 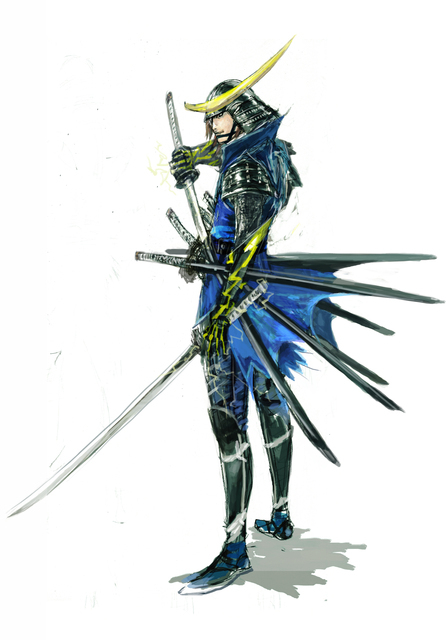 Next time I think I'll start on Masamune's coat for realz.. or at least that's the plan, hah! 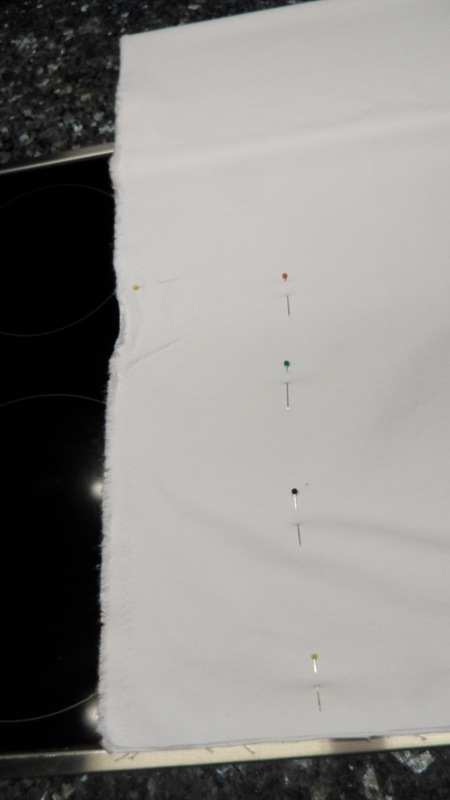 Oh yes, a most excellent choice of sewing outfit, I must say!